More than two years after my initial review of the file sync and backup software Synchronicity comes an update to Synchronicity 6. Has the software changed in those two years, and if it did, for the better or worse? Lets find out. The program is still offered as a portable version and installer, in a tiny 300 Kilobyte package. When you first launch the app after unpacking or installing, you are asked whether you’d like to enable automatic updates. The program then starts the profile listing where you see all synchronization and backup profiles that you have previously created, and a button to create new profiles. 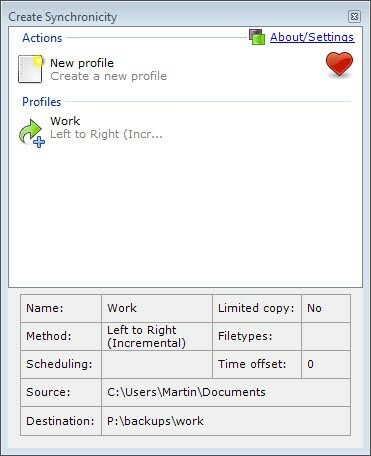 The core information about the selected profile are displayed right on the screen. Here you see the selected source and destination root directories, the synchronization method, filters and scheduling. 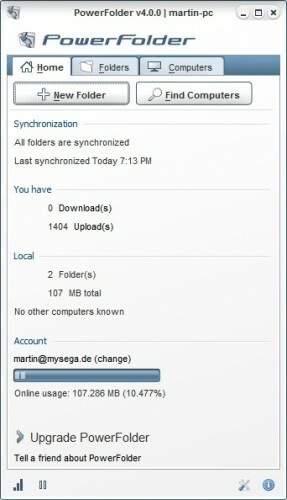 New profiles are created in a separate window where you can configure the data syncing. 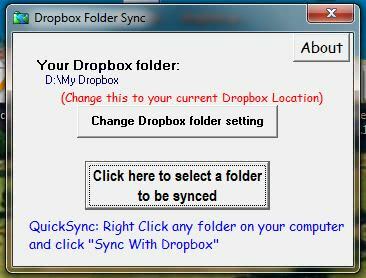 Here you select the source and destination directories, with options to sync all or only select folders and files. As far as files go, you can select to either include or exclude (but not both) specific files or filetypes. The program supports copying all matching files from the source directory to the destination directory, incremental synchronization (which copies everything but keeps the files that are already in the directory), or two-way incremental synchronization which makes sure that files in the source and destination directory are always kept in sync and never deleted. So far so similar. When you use the keyboard shortcut Ctrl-Alt-E in the main window, you enable Expert mode, which adds new advanced features to the program. The new settings add backup integrity checks and the dynamic creation of destination folders as options to the synchronization process. Besides expert mode, there is also a hidden feature section that need to be enabled in the profilename.sync file. Hidden features include excluding hidden files and folders, excluding specific folders, diff/file comparisons, text-only logs or beta features like wake-up actions. You can read up on both expert and hidden features in the program here. Synchronicity 6 in particular comes with new command line options (the /all switch to sync all profiles), new hidden settings like the ability to ignore files that are older than a specified number of days, or the option to send log files to email addresses. (Hidden setting) Customizable delay between queued profiles.Send logs by e-mail (see “scripts/mail.bat /?” for more info). (Hidden setting) Forget (discard) files older than a custom number of days. (Hidden setting) Exclude hidden files.Command-line switch to sync all profiles (/all).Improved error reporting. (Expert setting) Estimate remaining time (experimental). (Expert setting) On-the-fly BZip2, GZip compression(Expert setting) Show diff for modified files. (Expert setting) Compare file size in addition to last modified date.Full PDF manual.“/log” command-line switch: forces the creation of an application logSpecial server builds.Localized installer, in most of the supported languages.Add a setting to catch up missed backups (when a scheduled backup has been repeatedly missed, forces its immediate execution). Add to that the standard features like the backup scheduler, a preview option to test run a profile, and a bunch of command line options, and you come to the conclusion that the program has evolved in the past two years without becoming bloated. Great program, highly recommended for users of the Windows operating system.